The teams to avoid in the draw were obviously the English contingent and Barcelona. The English teams know each other so it is a little bit more difficult to outmaneuver them tactically and otherwise. Also any games between them would have been that much hyped up and tense affairs that Arsenal’s relatively young squad would have had more difficulty to cope with. Remember Liverpool last season? Barcelona have been playing the best football in Europe and Liverpool and Chelsea have hit peak form. Avoiding these three teams until the final is important and Arsenal are very lucky they did. It is important because like the rest of the teams left in the competition it is only Arsenal that have a lot of room for improvement. Liverpool with a fit Torres and Gerrard on form have now begun playing to their full potential. They will have to sustain it however as the run in to the business end of the season will undoubtedly take its toll. The same applies for Chelsea. They have now, with the excellent Hiddink on the helm and the dangerous and enthusiastic Drogba and Essien back on form hit their best. They, like Liverpool, will also need to sustain it. But only one of them will progress. And they will probably have to face Barcelona if they are to get to the final. Barcelona like Manchester United are beginning to show signs of tiredness. Will these two be able to remain fresh in the coming weeks and months? 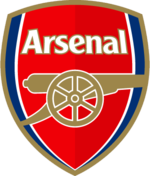 Arsenal on the other hand have only now begun to get back into their stride as the injured players begin to come back. We have seen how rejuvenated the players were now that Arshavin and Walcott have added a spark and real width that was really needed. And there is Fabregas and Adebayor to come back still. Villareal are a good team but “beatable” and if Manchester United get past Porto they will have to face an Arsenal side who will have by then a full complement of players to choose from. And we have beaten them once this season, comprehensively. We can do it again. We will also play both the first legs away. The first legs will be played on April 7/8 with the second legs on April 14/15. The first legs will be played on April 28/29 with the second legs on May 5/6. let's not kid ourselves, we didn't beat the manure soundly, they had so many missed opportunities in that game...It will be very tough, but I believe on our day we can beat them. man utd loose one game and all of a sudden they look tired??? "Arsenal on the other hand have only now begun to get back into their stride as the injured players begin to come back." Are you kidding? Arshavin is ineligible, Rosicky had his millionth setback and Walcott is out till May. Only Cesc is back and he may take some time to hit form.